Are you sure you want to buy that fast-food fried chicken? Vinyl figure designed by artist Frank Kozik. The heads and a few other parts are interchangeable! Remember this the next time you stop for some fast-food fried chicken! 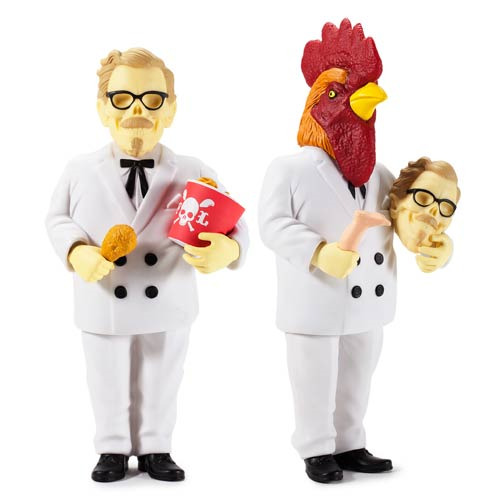 The Kidrobot General Tso's Nightmare by Frank Kozik Vinyl Figure shows what might happen if you do too many bad things to chickens. The heads and a few other parts are interchangeable, so you choose how you want your nightmare to look! Ages 15 and up.